Every Friday, you can read the entire Archive Dive post without a subscription. The Friday Archive Dive is a post from the site’s archive that I pull out front again because it still has relevant information you can use today. This is especially nice for newer subscribers (or anyone else) who may have missed it when it originally ran. The Q1 Crash: It happens every year, your ad revenue takes a huge dip in January. Here’s why it happens — and what you can do to compensate for the lost income in the meantime. On a related note, it’s very important to adjust your ad rates in January. Our Hot Seat Critique series focused on lettering in January. The Kramdenization of Comics: Every time you turn around, there’s a new come-on for cartoonists to consider — a contest, a promise of Big Buck if you agree to host you content with an aggregator site, and so on. But what is the risk of scampering from Promise to Promise? Kickstarter Drops Amazon Payments; Switches to Stripe: When Kickstarter first made their announcement, there was a metric ton of misinformation being bandied about — especially on some Facebook groups. This post corrected the false information and gave subscribers an informed perspective on what this change actually means. The USPS announced that is was not hiking rates in the first part of 2015. Where’s the best place to register a domain? With Google entering the ring, it may be time to re-think what you thought you knew. We look at Google’s new deal and compare them to some of the most popular registrars. Then, members chimed in with their favorites — complete with rate comparisons. 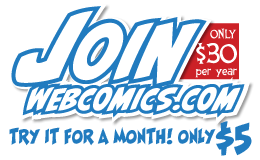 This is one of those posts that could save you the cost of an entire year’s subscription! Wizard World announced their purchase of Pittsburgh Comic Con. On the Surviving Creativity podcast, Jim Demonakos talks about merging Emerald City Comicon with ReedPop. And then ReedPOP Global VP, Lance Fensterman, joins the show to answer some tough questions about the changes in store for this fan-favorite show. The WHY behind crossbar I: We’ve been told — by everyone from Chris Eliopoulos to Nate Piekos — that we should only use the “crossbar” I in the case of a personal pronoun. But why? While I was explaining the rule to my Sequential Arts class at Hussian School of Art, I had an epiphany. How many people read my comic? It’s a deceptively difficult question to answer with any degree of accuracy. But there’s a more important question that you’re not asking… why is it important to you in the first place? The UPS Store has saved me a significant amount of money since I started using them for bulk shipping. I share the details. Webcomics Q&A: The Ann Arbor Public Library brought me in, via Skype, to do a half-hour Q&A session for their webcomics group. I talked about a wide variety of subjects, and then I posted the annotated video so members could jump right to the topics they were most interested in. Facebook’s Call To Action Button: It was easy to overlook, but Facebook unveiled a new feature for people who run Fan Pages — a Call To Action button. We gave subscribers a heads-up, a quick tutorial, and a few thoughts on using the button wisely. A neat CSS trick for better hyperlinks. Are the links on your site ugly — or worse, dated-looking? Here’s an easy-to-follow tutorial that will have your site looking more professional in no time! The private forum is a tremendous resource. Not only can you bounce ideas off other professionally-minded working cartoonists, but you can share thoughts that you wouldn’t want to put on a public messageboard. This is the place to discuss strategies of dealing with an inappropriate commenter — or to vet a business deal that you’ve been negotiating. Got a tech nightmare? I guarantee you that one of our members has been there and dreaded that. Here’s some highlights from last month. Sponsorship offer? 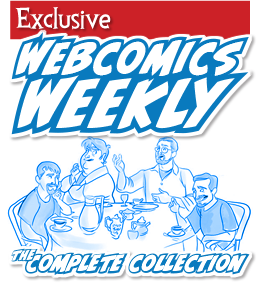 A member got an offer from an entity that wanted to sponsor one, specific comic in his archives. Members helped him see some of the potential pitfalls to this seemingly simple proposition. Switching hosting: How much downtime is acceptable before you’re forced to switch hosts? Creating movie-style trailers to promote books? Je Suis Charlie… or Je Ne Suis Pas Charlie? It’s an emotional topic. We talk about it here with mutual respect from all sides. 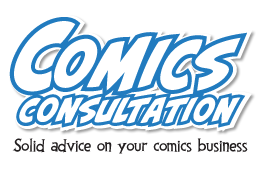 If you’re publishing many titles, is it better to have a hub site or should you host the individual comics on separate sites? Should there be a Webcomics.com Facebook Group? Webcomics.com Study Group: From time to time, members of the site gather via Skype or Google Hangout to get together, talk shop, and share information, inspiration and ideas.